ADATA Technology, a leading manufacturer of high performance DRAM modules and NAND Flash products, today launched the XPG SX9000, its fastest consumer SSD yet. The SX9000 caters to gamers and PC overclockers. It arrives in an M.2 2280 form factor and uses the PCIe3x4 interface to deliver up to 2800MB/s read and 1450MB/s write. ADATA has selected a new Marvell controller to ensure consistently optimized performance, while in-house ADATA manufacturing, assembly, and quality control result in up to a 1000TB terabytes/total bytes written (TBW) rating. 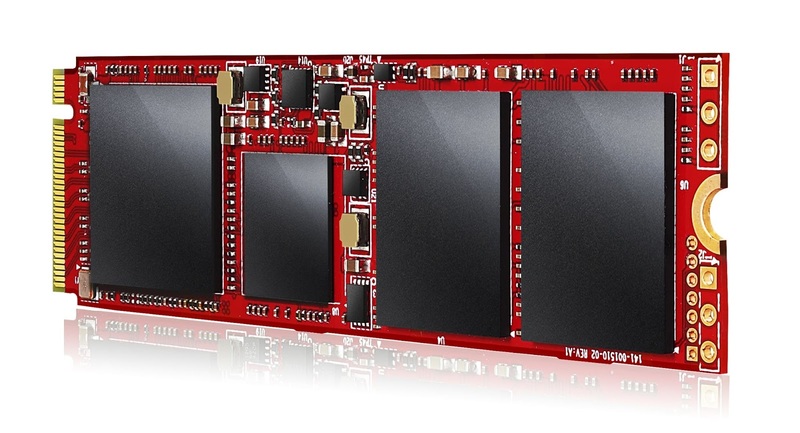 The SX9000 uses MLC NAND Flash and ships in 256GB, 512GB, and 1TB capacities. The SX9000 goes even beyond the XPG SX8000 thanks to balanced ADATA design and the integration of a new Marvell controller. It reaches 2800MB/s read and 1450MB/s write, leveraging the PCI Express Gen 3x4 interface and the NVMe 1.2 protocol. A compact M.2 2280 drive, the SX9000 also manages 310K/140K IOPS random 4K read/write. For fast boot, reduced cross-drive transfer times, shorter game loads, and quicker in-game asset delivery, the SX9000 offers an excellent foundation. ADATA quality assurance and in-house, outsource-free production lead to a long product lifespan. The SX9000 is rated for a TBW of up to 1000TB, at least 20% more than the longest-lasting 2.5” SATA consumer SSDs currently available. Similarly, it has a 2 million hour MTBF (mean time between failures) rating. On the data integrity side, the SX9000 supports low density parity check error correction and wear leveling, among other fidelity-enhancing features. The high speed and tolerances of the SX9000 make it a great choice for speed-seeking gamers, overclockers, and professionals such as graphics/render artists and compositors. Customers can choose from 256GB, 512GB, and 1TB versions of the SX9000. Additionally, the retail package includes a stylish black heat spreader with the XPG logo that users can opt to DIY install on the SX9000 quickly and easily, as it has thermal compound pre-applied. This way, customers can use the SX9000 with or without a heat shield based on preference and specific system conditions. This is in keeping with the ADATA and XPG dedication to providing more flexibility. The SX9000 offers the added benefit of an extended 5-year warranty as befits its premium quality.